Check the SPOT/APRS links, folks. Looks like we’re set to make this cross-USA trip a nonstop run (except for gas stops, and a trailer tire that went flat just west of Evanston, WY). 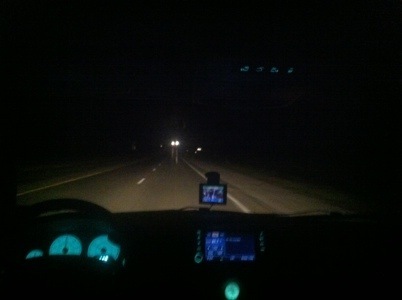 PS: Special thanks to Big-O Tires of Evanston, WY for getting us back on the road so quickly. Also: had a chance to look at the Day 9 video, and it looks cool. This one captures the flight all the way from task start to landing (although the lens is obscured a bit at the beginning—ah well!). 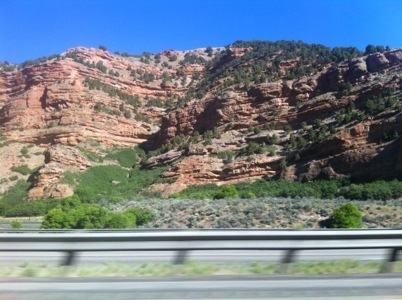 …since we’re driving home! Please stay tuned—day 9 was a blast! Gridding up: it’s the final day of the 2012 US Open Class Nationals. Off again into the blue, blue skies over Minden. Today’s weather was low and slow, allowing for plenty of dramatic images and video of rocks. If only I had held the camera for a profile shot—you would have been able to see all of JOY’s shadow on Mount Patterson, not just half. Ah well. 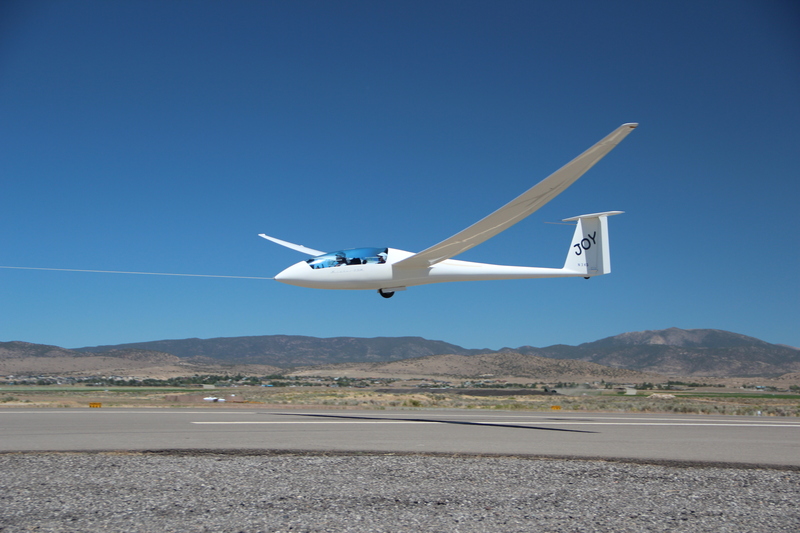 After six intense days of flying, the contest organizers decided to declare Monday a rest day. So, naturally, team JOY went on a three hour drive down to Yosemite to see it from the ground. Here are some photos I took with my Android phone’s built-in panorama functionality, which admittedly isn’t the very best. Click to enlarge if you want. Day 5 (remember, we’re counting from 0 on this blog; it’s the sixth day of racing). It got windy, but that didn’t keep us out of the air, or these birds for that matter (you may have to click to see them). We spotted those guys northbound while flying south to Desert Creek Peak at the end of today’s task. 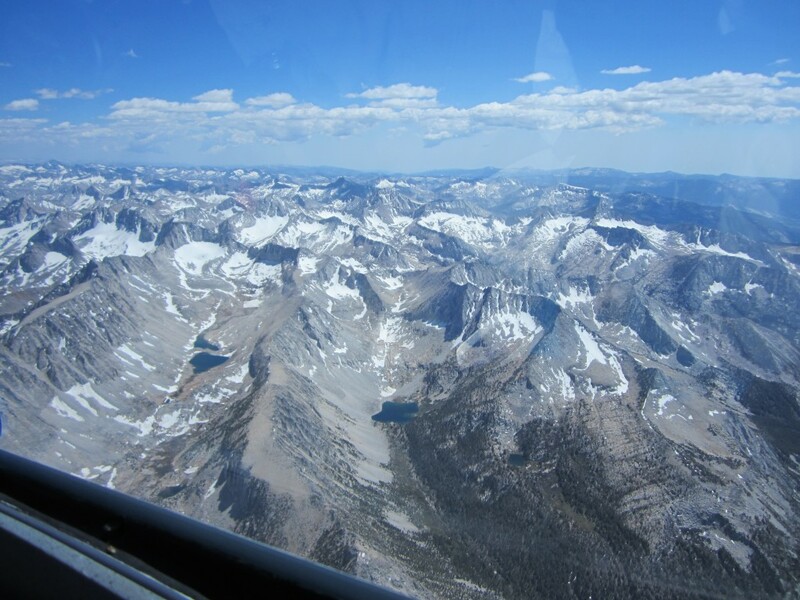 Q: What’s better than one amazing soaring flight over the Sierras? Day 2 at Minden: YouTube video! At last—here is an overview video of Day 2 at Minden! 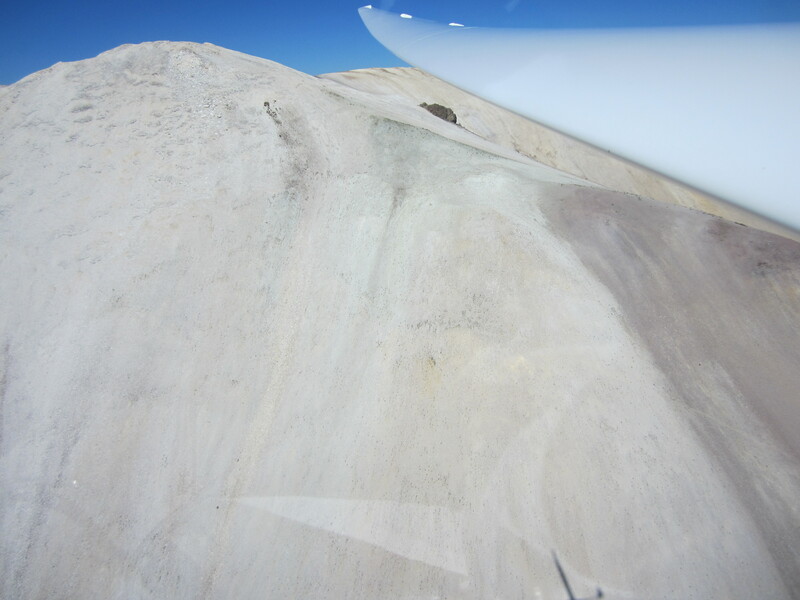 We’ve been flying with a GoPro camera suction-cupped to the canopy, and occasionally it manages to work. On a four hour task, it can just barely capture the whole thing before we land. That’s a lot of video, so I wrote a program that pulls out three second clips from every two minutes of footage, then joins them together. 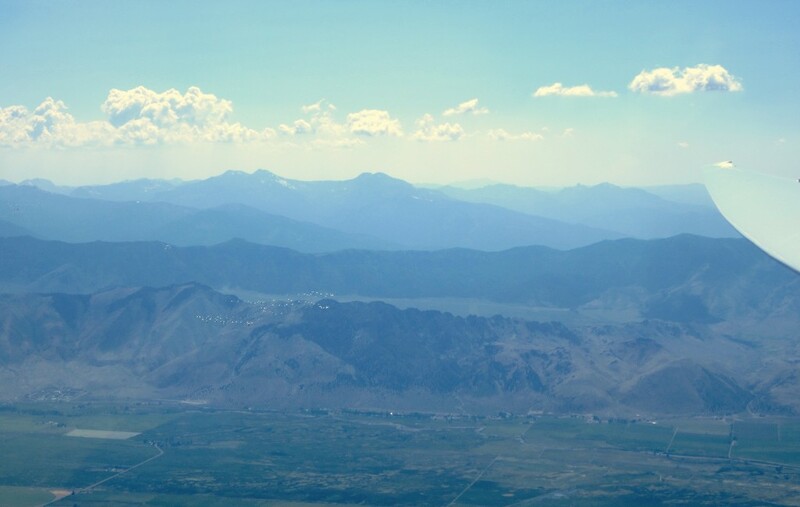 You can spot all kinds of interesting stuff in this summary video: soaring near virga, Mono Lake, the Sierra Crest, and more. Enjoy! With luck, I’ll have another video like this one for today’s task.